"These nine globe-trotting, unforgettable stories vividly give voice to the women and men of the Filipino diaspora. Here are exiles, emigrants, and wanderers uprooting their families from the Philippines to begin new lives in the Middle East, the United States, and elsewhere—and, sometimes, turning back again. 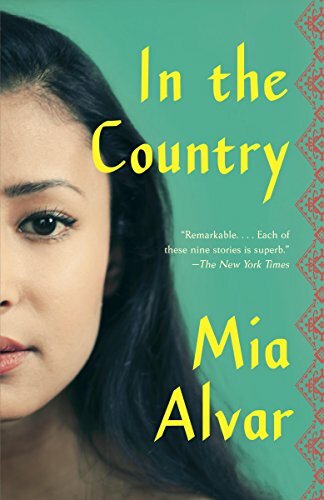 In the Country speaks to the heart of everyone who has ever searched for a place to call home. From teachers to housemaids, from mothers to sons, Alvar’s powerful debut collection explores the universal experiences of loss, displacement, and the longing to connect across borders both real and imagined. Deeply compassionate and richly felt, it marks the emergence of a formidable new writer."